Clive Thompson LRPS Photography: Martha's Landport, Portsmouth PO1 4BJ in 1974. Martha's Landport, Portsmouth PO1 4BJ in 1974. Martha's Bar at 227 Commercial Road, Landport, PO1 4BJ in 1974. 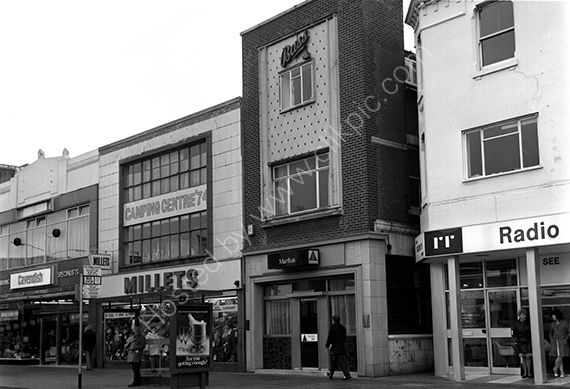 To the left is Milletts and the upper window banner proclaims "Camping Centre '74" and to the right is Radio Rentals. Martha's Bar closed in June 2011.